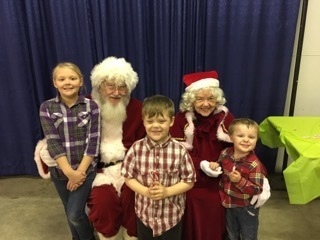 A holiday party was held in collaboration between Sixpence and Seward Head Start on December 3, 2018 . Families were able to make an ornament, learn about filling our emotional buckets and decorate a bucket to take home, and visit Santa and Mrs. Claus. Each family received a copy of the book Will You Fill My Bucket and a year-long family pass to the Lincoln Children’s Museum. This was made possible by The Seward Optimist Club and Seward Kiwanis. 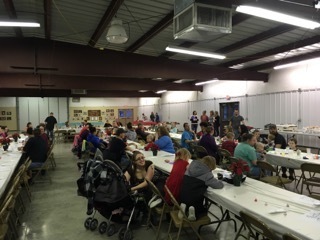 The families also were treated to a holiday meal and cake for desert. Local restaurants donated the items for the meal.